Srinagar, Mar 09 : Disapproving the central government’s repressive policies of criminalizing dissent, bundling people in jails and banning religious outfits, Peoples Democratic Party (PDP) President and former Chief Minister Mehbooba Mufti said that BJP’s attempts to turn Jammu and Kashmir into a theatre of war for electoral gains will be fervently opposed and foiled by the PDP. Chaired by the party president, PDP on Saturday held a meeting of its top leadership in Srinagar to discuss the prevailing political situation in Jammu and Kashmir. The meeting witnessed participation of all senior party functionaries including parliament members, former ministers and legislators. In her address, PDP President Mehbooba Mufti expressed serious concern over the prevailing situation in the state and said that the repressive measures and iron fist approach are being rigorously implemented with common masses threatened, intimated and harassed by the government at large. She said that soon after the Pulwama attack last month, there are attempts being made to intimidate the people of Kashmir with Prime Minister Modi on television declaring air strikes against Pakistan as pilot project and threatening that more is yet to come. “Whom is PM Modi trying to threaten with such war mongering? 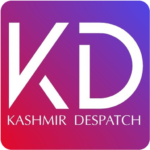 Due to such a ruthless smear campaign, Kashmiri students outside JK are targeted, traders harassed all across and inside Kashmir religious outfits are banned with clerics bundled in jails like criminals,” Mehbooba said. Mehbooba also reiterated PDP’s stand vis-a-vis banning the socio-political and religious organization- Jamaat-e-Islami, terming such a measure as undemocratic, unconstitutional and an attempt to hurt the religious sentiments of Muslims all across. “We have been saying this since day one that Jamaat-e-Islami is an idea. Ideas cannot be chained, banned or killed. Ideas are bulletproof and in democracy, ideas are allowed to flourish and not choked. What the BJP is doing at present is nothing but a clear vendetta against anyone who dares to oppose its policies,” Mehbooba said in her address. The PDP President added that her party will remain in the forefront to oppose any move aimed at harassing, suppressing and targeting the people of state and that the policies being adopted by the central leadership towards the state are turning the already crises ridden region into a veritable inferno. “Jamat-e-Islami has been credited for running schools and is a socio- religious organization which is totally non- violent and the organization has on many occasions publicly disapproved of violence as a method of political struggle. Banning it will further shrink the space for politics and dialogue and it seems that government of India is now completely depending on force as a measure to subjugate the people of state. 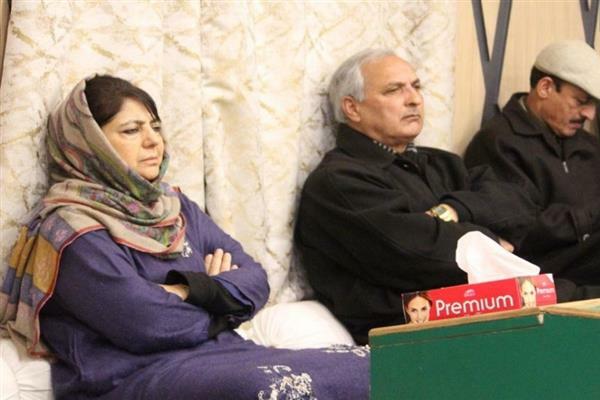 However, it has to understand that no muscular policy will work as it has never worked in the past and it will never work in future also,” said the PDP President and added that she will not allow Jammu and Kashmir to turn into a theatre of war for the BJP’s electoral gains.